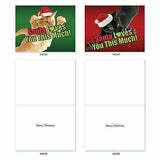 MINI GREETING CARD SET Our (4 x 5.12 Inch ) note cards are smaller than a typical 5x7. 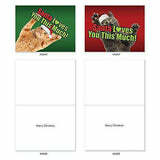 These cute cards are miniature size and are perfect stocking stuffers for the holidays. Stick them under the Christmas tree with a religious Christmas wish on the inside. 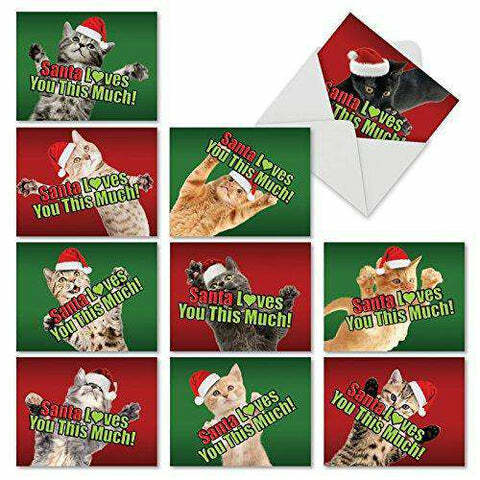 We offer a wide assortment of designs and art styles, offering a unique match for men and women looking for the right notecard for their special, personal message. 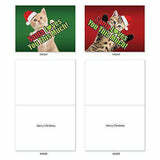 WISH A HAPPY HOLIDAYS - This time of year, get the kids involved with holiday festivities. 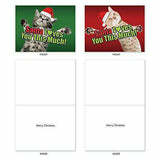 Have them draw a snowman, snowflake, or sign their names in the cards. 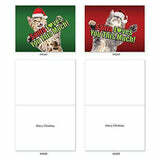 Your family and friends will love the fun and joy from these small Christmas cards. Printed with bright and beautiful color. A variety of the art and designs in our note card sets look great framed! Try framing them individually, or grouping several in a collage frame, to create visually appealing wall decor. ABOUT US - Founded in 1980, NobleWorks and The Best Card Company, its non-humor division is an award winning brand and an American based, family owned publisher. A proud board member of the Greeting Card Association, we strive for 100% perfection and customer satisfaction â every card, every order, every time. We are here to serve whether you purchased our stationery directly from us or from authorized resellers.